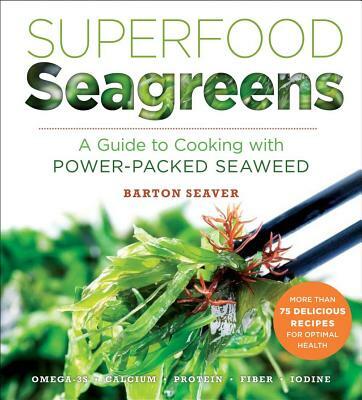 With benefits ranging from weight loss and increased energy to overall good health, no wonder sea greens (such as kelp, dulse, wakame, and alaria) are poised to become the next superfood craze. Incorporate them into your daily diet--and substitute them for more familiar vegetables like kale, spinach, and okra--with the help of world-renowned chef and sustainability expert Barton Seaver. His more-than-75 versatile recipes include everything from smoothies and cocktails to exciting salads, delicious pasta dishes, savory stews and soups, even breakfast foods and desserts This one-stop cookbook covers all the different types, explains their history and traditional uses, and offers suggestions on where to buy them. After leading some of the top restaurants in Washington, DC, Barton Seaver now focuses his knowledge and experience to link seafood to broader socioeconomic, ecological, health, and cultural issues. Lauded as a leader in sustainability by Seafood Choices Alliance, Seaver was named a Fellow with the National Geographic Society and works with their Ocean Initiative program to demonstrate that the choices we make for dinner have a direct impact on the ocean and its fragile ecosystems. As a board member, Seaver works closely with Harvard's Center for Health and the Global Environment to bring together Boston-area hospitals and health-care providers with healthier and more sustainable food-service opportunities. Learn more about him at bartonseaver.org.